Gainesville has a vibrant cultural life, with many performance events put on at little or no cost by the College of Fine Arts, and two large arts festivals each year, in spring and fall. The Samuel P. Harn Museum of Art is one of the largest university art museums in the Southwest. 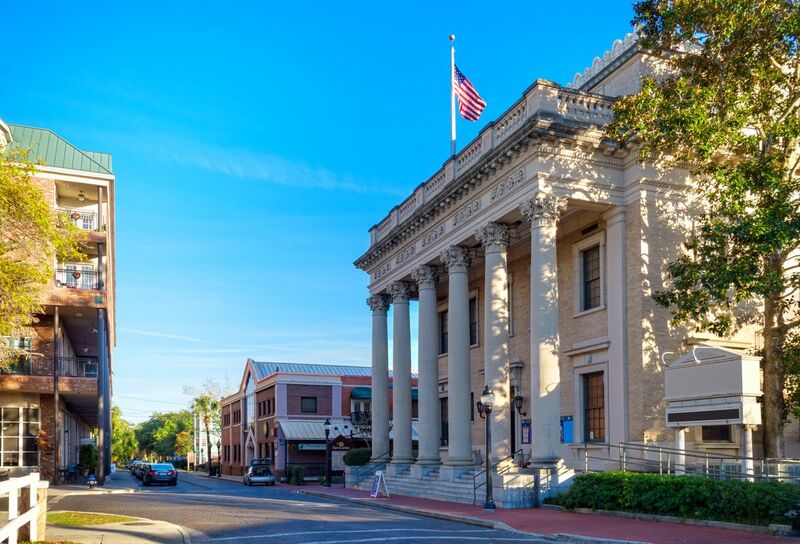 In 2008 Gainesville was also named “Best Place to Start a Band in the United States” by Blender Magazine, and has an active and varied music scene which has spawned such luminaries as Tom Petty and the Heartbreakers, and two of The Eagles. There’s loads to do outside the city too. Check out the sinkhole in Devil’s Millhopper Geological State Park; hike, bike, blade, or horse ride along the Gainesville-Hawthorne Trail State Park; or tube down the river in the Ichetucknee Springs State Park. If you fancy getting under the water, it’s clear enough to make scuba diving popular. Look out for raccoons and white-tailed deer along the banks, and for alligators, water snakes and turtles in the river. Gainesville is the home of University of Florida and the student and faculty presence is pronounced. Also, it's the Northern Florida center for healthcare so there are lots of medical businesses. It's a suburban sprawl with rather featureless wide streets. However there are several nice parks where you can enjoy the Florida weather and the natural setting. Gainesville is home to the huge University of Florida and as such is a student town. There aren't many sights for tourists but if you find yourself here for a day or two or just passing through there are some things to do. Try the Museum of Natural History on campus or the Kanapaha Botanic Gardens. If you are more into the outdoors then there are some great walking and bike trails such as the Hawthorne trail. Food options are like any other town with major chain restaurants in most neighbourhoods as well as some independent gems. Go Gators!!! Homecoming Weekend!! Fun fun had by all ... Making great memories!!! I rally love my visit to this quaint little college town! The downtown was really nice to walk around and the weather is great! Definitely a university town, that is dominated by the University of Florida. It is not an easy city to move around without a car. There are a few public buses, but essentially if you are without a car you a pretty limited in what you can see or do. The University of Florida is pretty nice, and there is plenty of activity that comes from there being so many young people. I can only speak to the area immediately around the U of Florida campus and wasn't too impressed by the quality of food options, with most things geared towards students. Not a bad place to go to school, but sometimes the traffic can be a bit much, but if you are a fan of the Gator Nation then Gainesville can't be beat! The University of Florida is basically the city of Gainesville. It's pretty much saying, Gainesville is college town that loves football and loves to party. It's youthful and optimistic. But, it holds a seedy side, with monetarily poor residents of more typical northern Florida. Gainesville is a pleasant city to stop in for some really good cheap food; coming in and out of Florida. Or a fine place to spend 4 years to an indefinite amount of time for some, studying. good college town.Great UF..can see the football game .Go Gators! It's a college town, I don't like big towns. I loved Kanapaha Gardens.